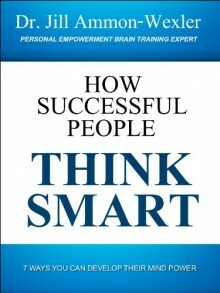 HOW SUCCESSFUL PEOPLE THINK SMARTThis 36 page mini-book shows exactly how the brains of successful people are different – WHY they’re smarter, faster, more creative and unstoppable. INCLUDES INSIGHTS AND EXERCISES to help YOU trigger these parts of your brain to change your thinking. By personal development expert Dr. Jill Ammon-Wexler, doctor of psychology and pioneer brain/mind researcher.